Landlords must always check tenant credit as well as conduct other thorough extensive screening on every rental applicant. It does not matter if you have just one or two rental properties or several hundred properties, you protect your investments in your rental properties when you check tenant credit and conduct additional comprehensive screening on the primary applicant as well as adult co-applicants. The American Apartment Owners Association is your go-to source when you check tenant credit report information, check eviction history and other tenant screening reports to determine your best-qualified applicants. 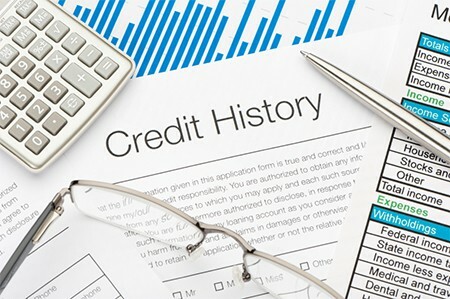 Credit report – When you check tenant credit, the report reveals whether an applicant pays bills and accounts on time or whether the prospective tenant blatantly ignores financial responsibilities. It is imperative for you to realize however, that when you check tenant credit report information, you only receive information about your applicant’s credit history and not other information. Eviction History – Landlords must always check eviction history on every applicant, including co-applicants. The primary applicant may try to persuade you not to check eviction history on other adults living in the home to try to hide the co-applicant’s past evictions. If you fail to check eviction history on every adult who will reside in your rental property you could regret it later. When you check tenant credit, choose a tenant screening package that also includes the opportunity to check eviction history because eviction information is not included when you check tenant credit report information. Previous Address Tenant History – Prospective tenants may try to hide past evictions or other poor rental history such as owing landlords money for damages or court costs. One way that applicants sometimes hide a poor rental history is to “forget” to disclose previous addresses. Including the previous address tenant history in your screening packages gives you the opportunity to verify the addresses given by the tenant during the screening process with the information you receive when you check tenant credit and other verifications. Social Security Number Fraud Check – When landlords check tenant credit report information and check eviction history, that is still not enough to weed out poorly qualified applicants. Identity theft is increasing rapidly which often includes social security number fraud. Applicants with a negative credit history or with a history of evictions may steal the identity of another person, hoping you will not discover the deception. When you include the social security number fraud check in your tenant screening packages, you learn whether the name and social security number given by your prospective tenant matches the name associated with that particular social security number according to federal government records. Criminal History – Just like you have to check eviction history separately when you check tenant credit, you must also check for criminal history separately from checking the credit report. When choosing tenant screening packages from the American Apartment Owners Association you have the opportunity of including a criminal records search on a state-specific or national level. Remember that the more comprehensive the reports, the more detailed information you receive. When landlords check tenant credit and other information, the cost is often passed along to the applicant. Landlords often pass the cost of screening applicants on to the prospective tenants. Some states may place limits on the amount that applicants pay for screening while many other states allow landlords to recover the complete cost of screening both primary and co-applicants from the prospective tenant. Therefore, there is no need to skimp on the reports you need to feel satisfied that the applicant you hand the keys to is indeed the ideal applicant. By passing the cost on to your applicant, you also avoid cutting corners when you check tenant credit, check eviction history and want to obtain other crucial screening results. Not all negative information revealed when you check tenant credit means the applicant is not the best-qualified choice. Everyone goes through a tough time occasionally. Sometimes this means a temporary financial setback that can show up when you check tenant credit. Perhaps your applicant lost a job and could not pay bills for a while but is now back on track. Perhaps the applicant went through a divorce and the other spouse was responsible for paying the bills. When those situations are in the past and the prospective tenant demonstrates financial responsibility now, you likely want to make the decision based on the applicant’s current financial situation. Many landlords rely on AAOA, the largest landlord association in the country. Trusting AAOA every time you check tenant credit means you get the most up-to-date, reliable information on your applicants every time you screen a new applicant.